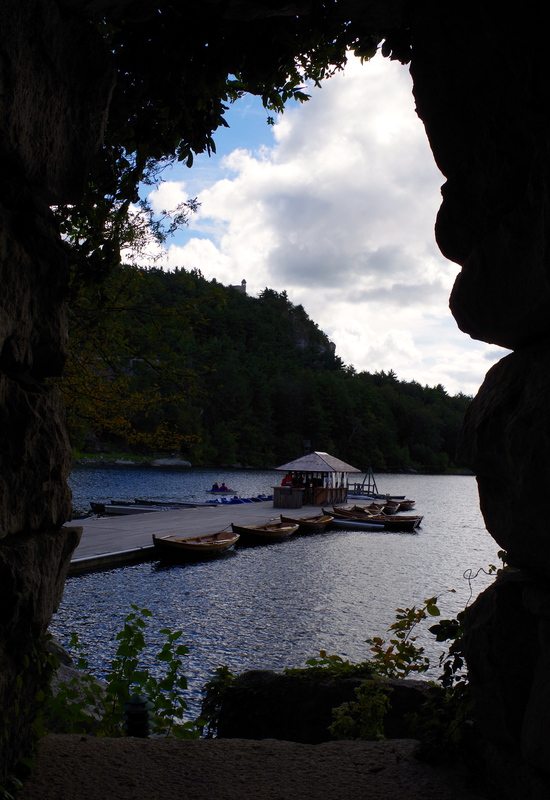 Glacier Lake, as viewed through the dramatic silhouette of Mohonk Mountain House stone archway. This photo was not edited. Yet the spectacular scene is perfectly framed and presents an ideal vantage point from which to soak up this unique vista. Postaday.